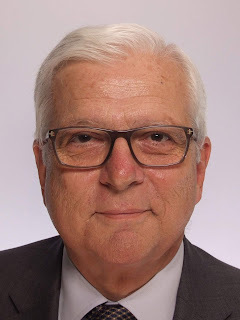 The Hellenic Financial Stability Fund (HFSF) announces that, following the recommendation of the Selection Panel and the respective decision of the Ministry of Finance, Mr. Andreas Verykios was appointed Chairman of HFSF’s General Council. Mr. Verykios succeeded Mr.George Michelis as of June 15th. Mr. Verykios has a long experience in banking, having held several positions of leadership in the European Investment Bank (EIB), Luxembourg, ending his career with this institution in December 2008 as Deputy Director General for Lending Operations in Europe. Prior to that, he served as Director of Human Resources from 2000 to 2005 after having headed the EIB’s Representation Office in Brussels, in charge of strategy and relations with other EU Institutions, from 1996 to 2000. From 1981 to 1996, he spent his first fifteen years with the EIB in charge of project finance teams operating in various Member States of the European Union. Before joining the EIB, Mr. Verykios started his working career in merchant shipping companies in London and in Piraeus. He then moved to banking as a Corporate Finance Manager at Citibank Greece, from 1978 to 1981. Since January 2009, after leaving active service at the EIB, Mr. Verykios has put his managerial experience to use as a professional coach in leadership development. He has served as an external expert to chair several panels set up by the EIB to resolve staff differences or complaints under the bank’s Code of Conduct. Andreas Verykios holds a Bachelor’s Degree (Licence) in Economics from the University of Geneva, Switzerland, and a Master’s Degree in Business Administration (MBA) “with distinction” from the European Institute of Business Administration (INSEAD), Fontainebleau, France. Concerning his new duties, Mr. Verykios stated: “I undertake the duties of HFSF’s General Council Chairman fully aware of the gravity of the Fund’s institutional role in terms of preserving the stability of the Hellenic banking system. Moreover, I would like to praise the work of Mr.Michelis and thank him both for his presence and support, in order to achieve a seamless succession”. Date : 6/26/2018 11:56:00 π.μ.